Register by January 11, 2019 to avoid late fees. Registration closes January 31, 2019! The purpose of our Allied Partner Summit is to bring together our suppliers, the NFA board of directors, franchise owners and our corporate partners. Jack in the Box operates over 2,200 restaurants and operators are continuously on the search for ways to increase revenues, improve relationships with vendors and meet new suppliers. Representatives from each Allied Partner meets with a panel of owners, operators and decision makers to showcase their products and services. The Allied Partner Summit offers face-to-face presentations for non-food suppliers & Face-to-face food sampling for food supplier. This is a great opportunity to introduce new services or products and build your relationship with operators. You must be a 2019 Allied Partner to register for the event. Membership must be paid by February 1, 2019. 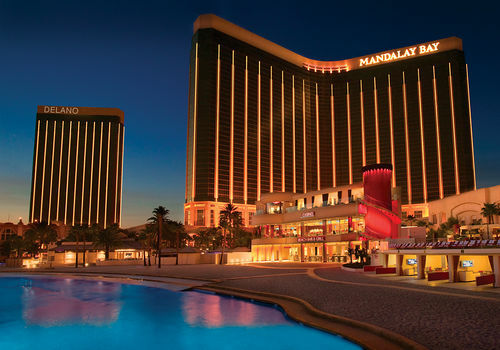 To avoid missing any of the planned activities, we highly recommend staying at Mandalay Bay. Room availability and NFA discounted rates are not guaranteed after January 5, 2019.